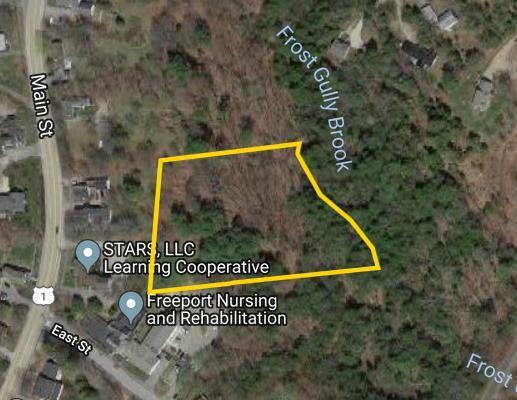 Real Estate: Consists of a 3.2+/- acre lot located in town behind Freeport Nursing and Rehabilitation and is zoned Village 1. Reference a portion of Tax Map 15, Lot 21. The property will be sold from the roadside at 3 East Street, Freeport, Maine. Directions: From L.L. Bean, follow Rt 1 .4 miles to East St. on the right, follow to the property on left behind Freeport Nursing and Rehabilitation. Terms:A $5,000 deposit (nonrefundable as to highest bidder) in CASH or CERTIFIED U.S. FUNDS, made payable to the Keenan Auction Co., Inc. (deposited with the Auctioneer as a qualification to bid), with balance due and payable within 29 days from date of auction. The property will be sold by public auction subject to all outstanding municipal assessments. Conveyance of the property will be by release deed. All other terms will be announced at the public sale. 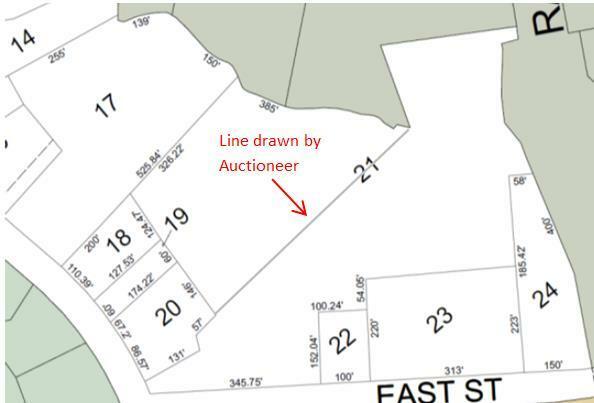 For a Property Information Package visit KeenanAuction.com or call (207) 885-5100 and request by auction number. Richard J. Keenan #236. Our 47th Year and 7,967th Auction.